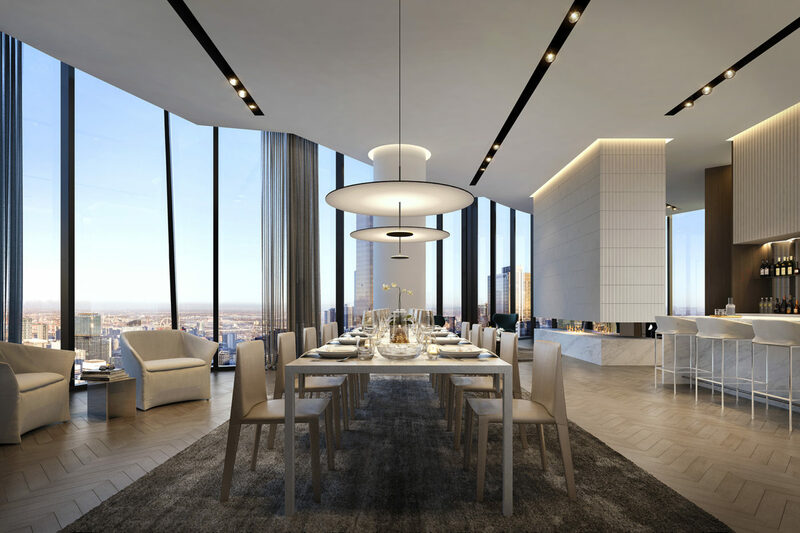 Rising above an expansive 3000 sqm park setting and a wide range of retail, supermarket, dining and childcare spaces, Melbourne Square delivers a range of premium apartments and penthouses, alongside an exceptional level of private amenity and lush rooftop gardens. 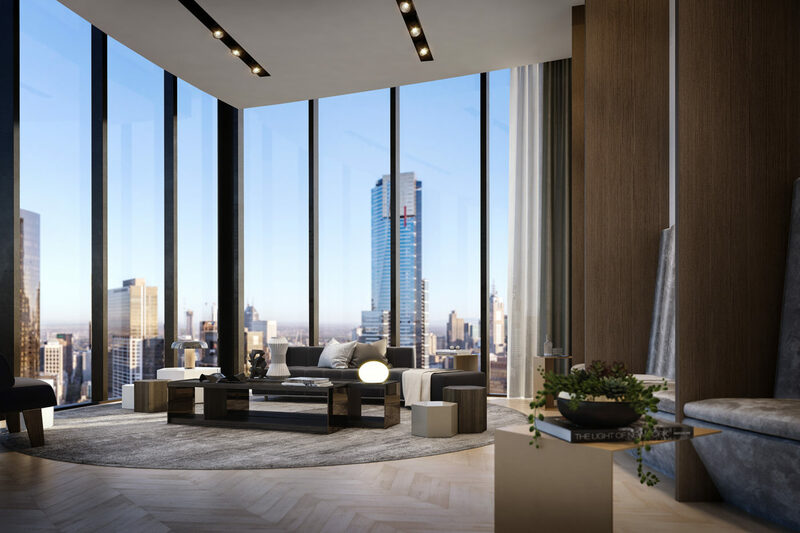 With abundant lifestyle options just downstairs, and the best of the CBD and inner-city on the doorstep, Melbourne Square stands apart as a premier place to live. 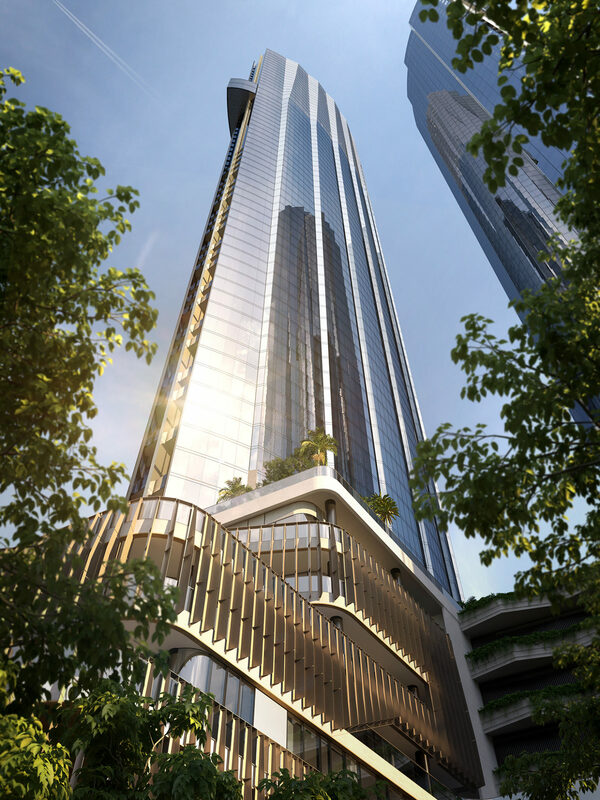 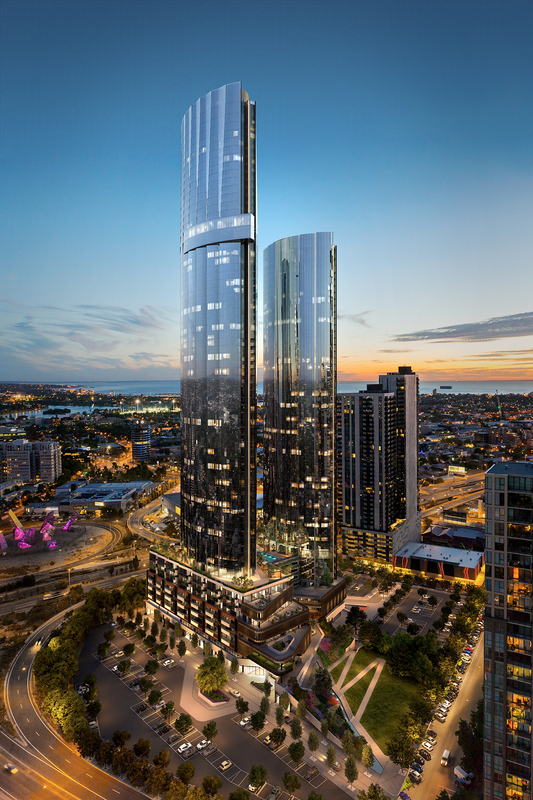 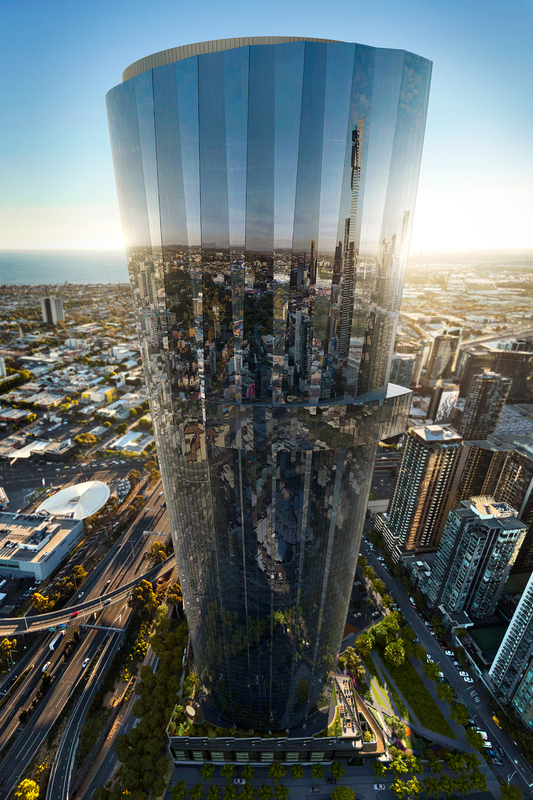 It is also destined to be a landmark urban destination, representing the fine design and focus on livability for which Melbourne is renowned. 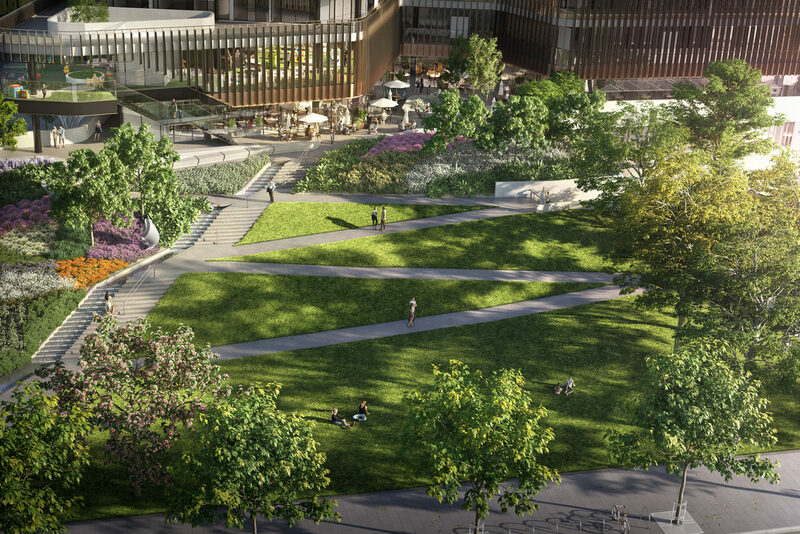 Melbourne Square has been designed by Cox Architecture as a prominent gateway precinct inspired by the cultural heritage of the nearby arts precinct, the greenery of the surrounding parklands, Port Philip Bay and the orderly grandeur of the city itself. 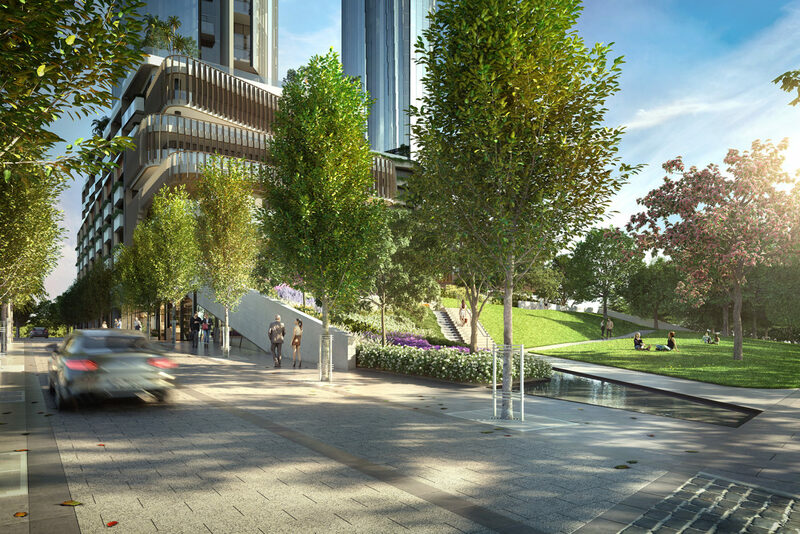 The design is composed of three key elements: a folded landscape, a terraced podium and a pair of residential towers rising above. 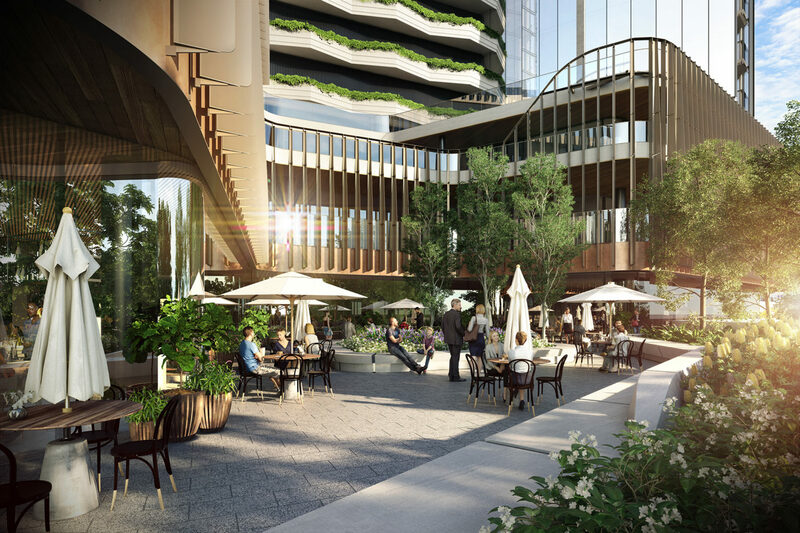 The contoured terraces of the podium connect to the streets of Southbank across the new gardens, piazzas, cafés, retail outlets and supermarket. 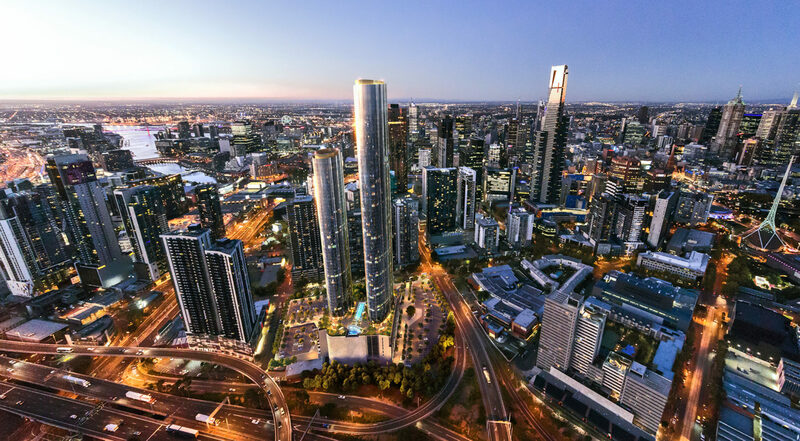 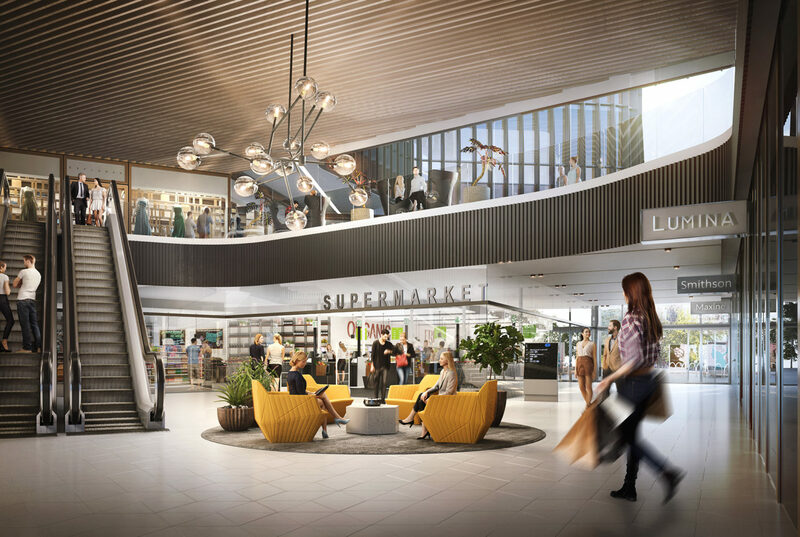 Melbourne Square is set to deliver a new retail centre to Southbank.This will be known as a dynamic shopping and lifestyle destination for the surrounding community – a place to find quality retail, convenient grocery shopping and sophisticated eateries in the heart of the city. 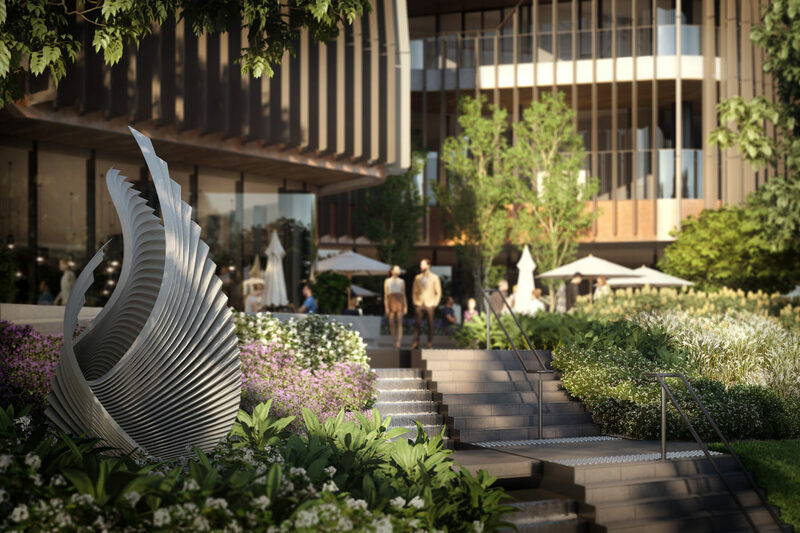 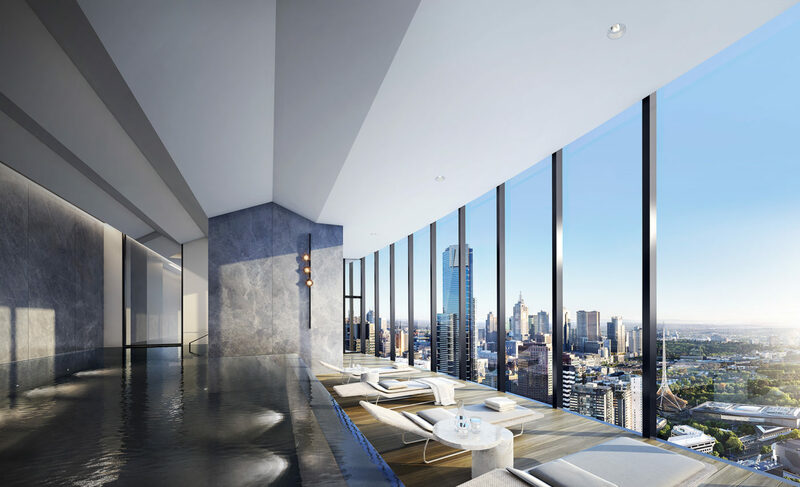 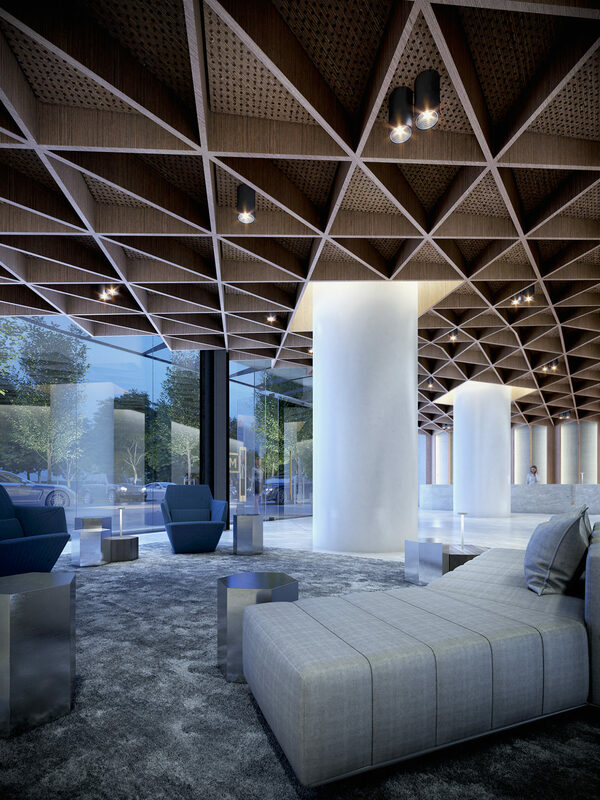 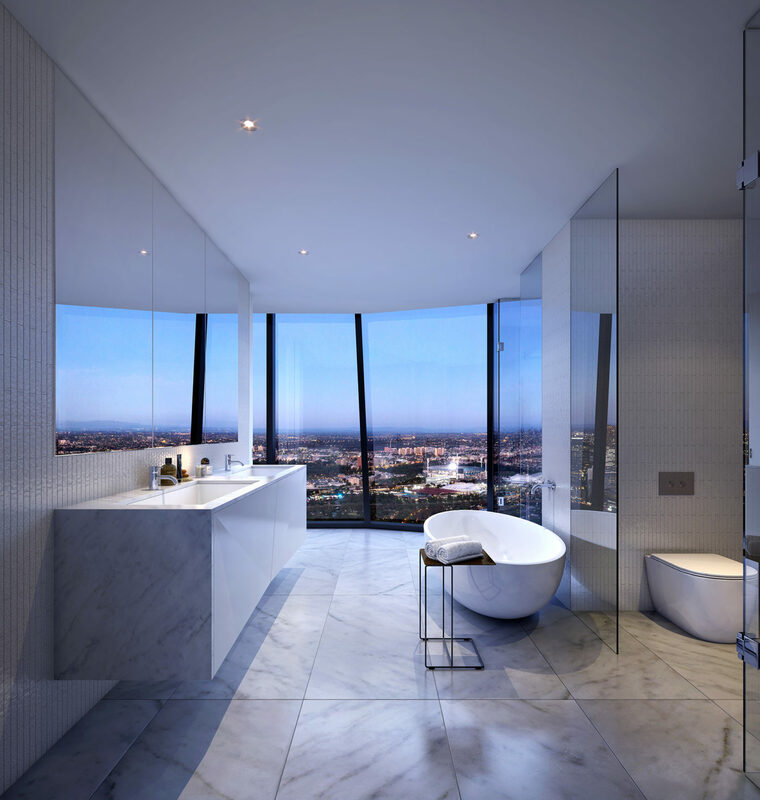 Residents at Melbourne Square will have access to an abundant array of amenity within the building, and all designed with impeccable style by Sue Carr. 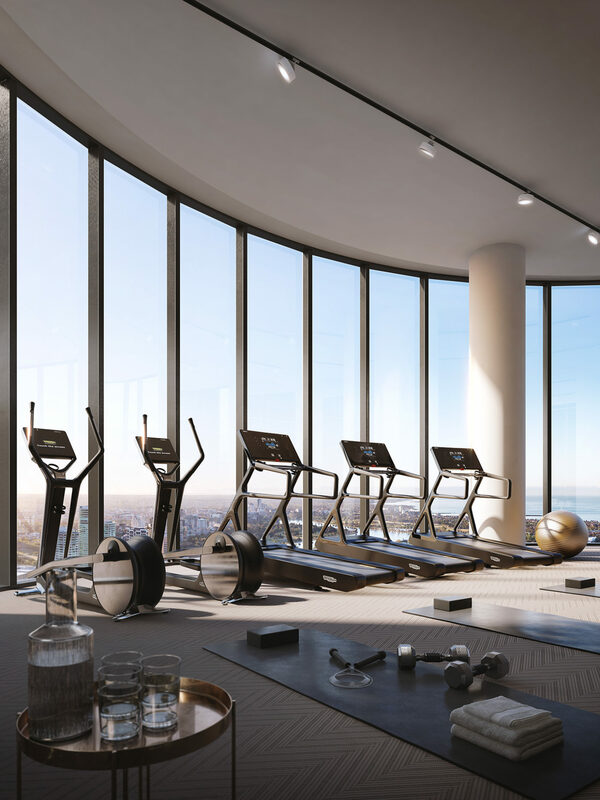 and level 54 also include a luxurious pool and gym spaces to enjoy. 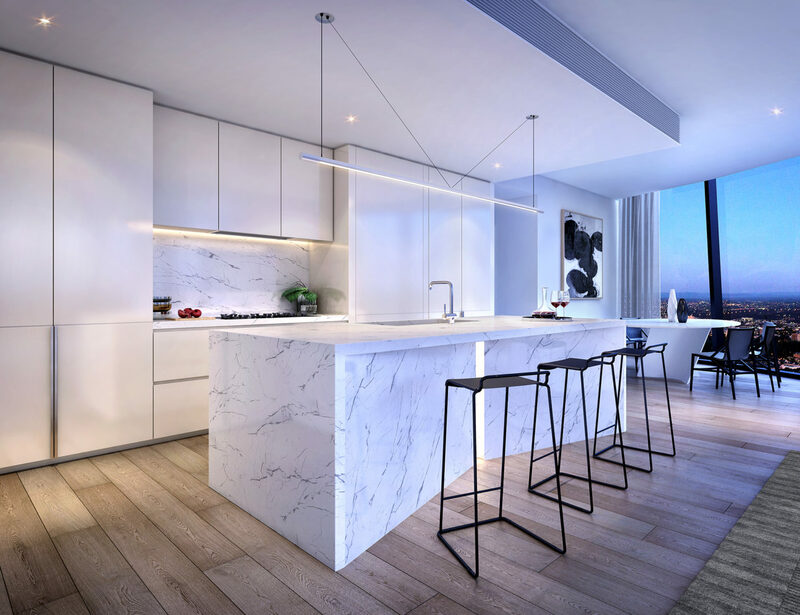 The material palette of the residences is equally considered and impressive, from the large, sculptural marble blocks used for the island benches of penthouse kitchens to the fluted mosaic wall tiles which bring a rich textural quality to the apartment bathrooms. 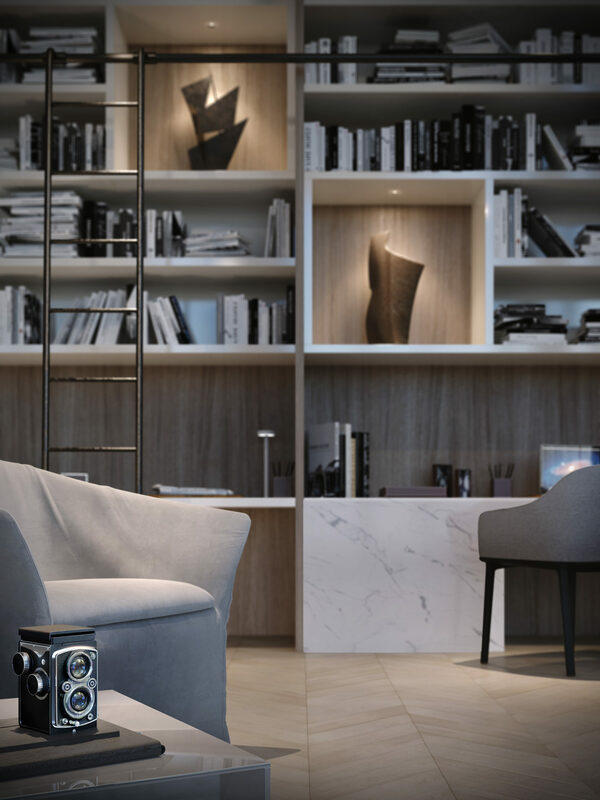 These premium materials are used throughout both colour schemes. 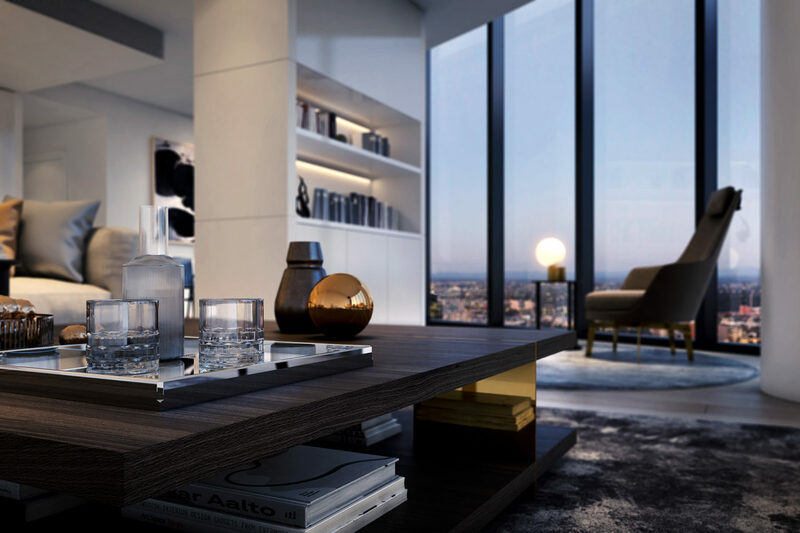 Options including Miele appliances, as well as Rogerseller tapware complete each home’s picture of luxury. 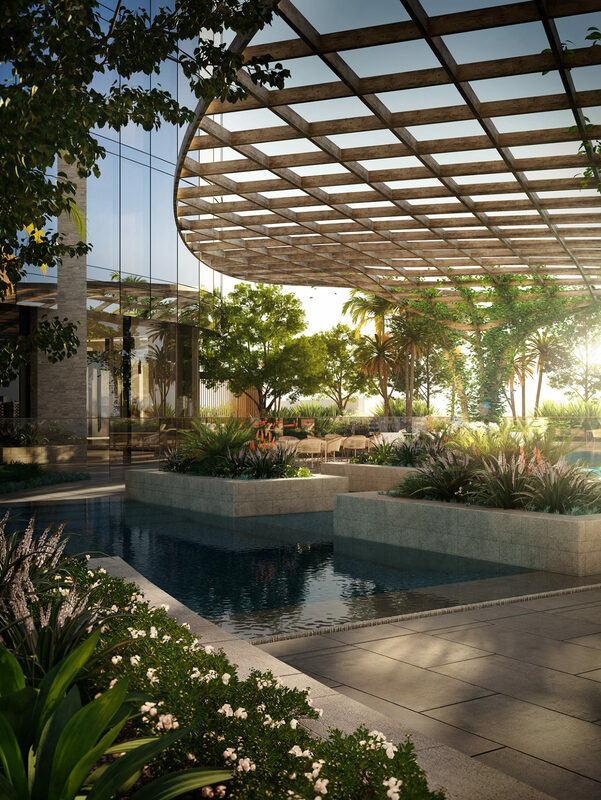 The result is a collection of sky-high residences offering a rare balance of intelligent craft and impressive beauty.